Google-backed 23andMe will introduce the first direct-to-consumer genetic test for a mutation causing the rare Bloom syndrome. Google-backed 23andMe won U.S. approval on Thursday to market the first direct-to-consumer genetic test for a mutation that can cause children to inherit Bloom syndrome, a rare disorder that leads to short height, an increased risk of cancer and unusual facial features. The Food and Drug Administration said it plans to issue a notice to exempt this and other carrier screening tests from the need to win FDA review before being sold. There will be a 30-day period for public comment. "This action creates the least burdensome regulatory path for autosomal recessive carrier screening tests with similar uses to enter the market," the agency said in a statement, referring to genetic mutations carried by two unaffected parents. 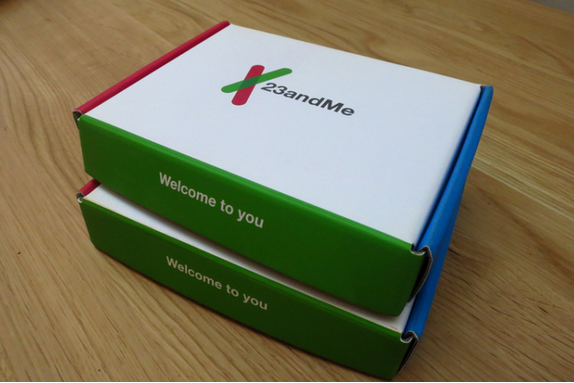 The FDA previously barred Mountain View, California-based 23andMe from marketing a saliva collection kit and personal genome service designed to identify a range of health risks including cancer and heart disease, saying it had not received marketing clearance. The current approval is for a much narrower slice of the genetic testing market. "The FDA believes that in many circumstances it is not necessary for consumers to go through a licensed practitioner to have direct access to their personal genetic information," Alberto Gutierrez, director of the FDA's office of in vitro diagnostics and radiological health said in a statement. "These tests have the potential to provide people with information about possible mutations in their genes that could be passed on to their children," he added. The company conducted two studies to show that the test is accurate in detecting Bloom syndrome carrier status, the agency said. The test is intended for post-natal carrier screening in adults. "No test is perfect," the FDA said. "Given the probability of erroneous results and the rarity of these mutations, professional societies typically recommend that only prospective parents with a family history of a genetic disorder undergo carrier screening." Company co-founder Anne Wojcicki said in an interview that 23andMe has not yet decided how much the test will cost or exactly when it will be available though she expects it will be "some time this year." She said the company has 40 more screening tests of this type that it hopes gradually to introduce. The company has not given up hope that it can win FDA approval for other types of genetic tests for which the agency currently requires premarket approval, she said. "This is the first step in what we hope will continue to be an evolving journey, she said.